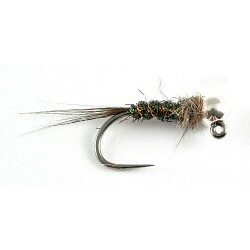 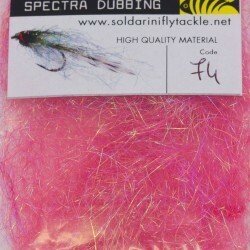 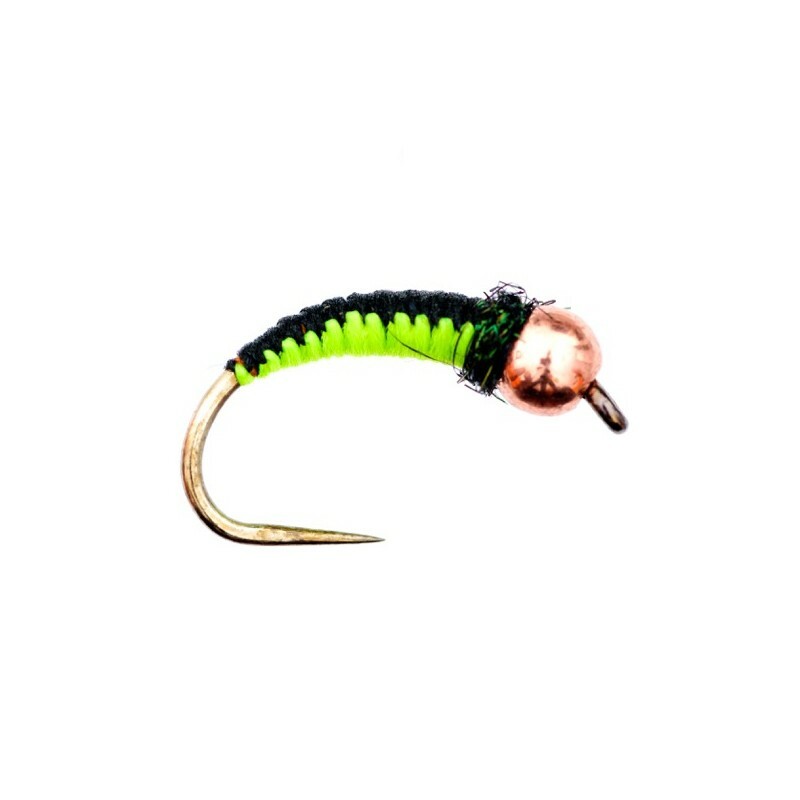 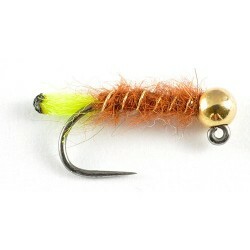 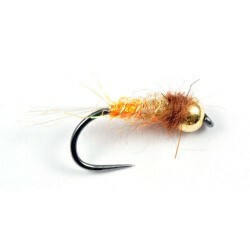 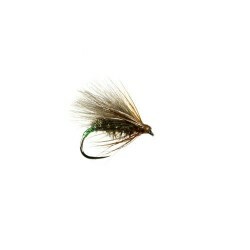 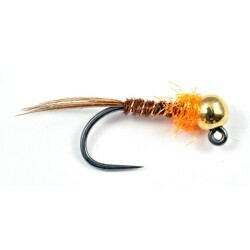 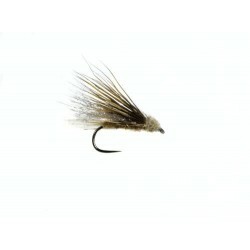 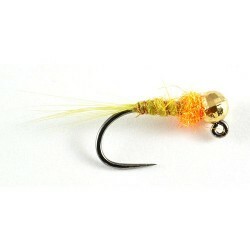 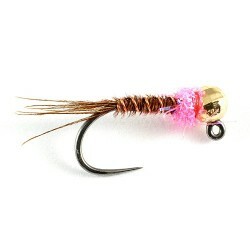 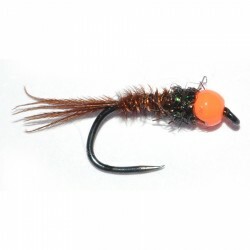 Black and Chartreuse 4.0m copper (tungsten) bead size 12. 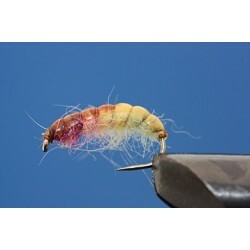 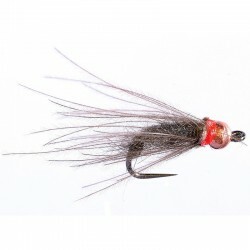 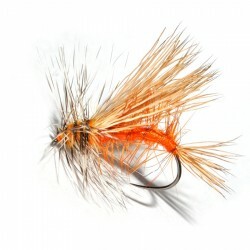 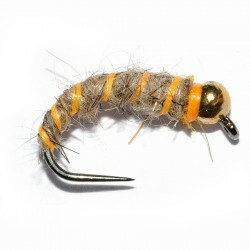 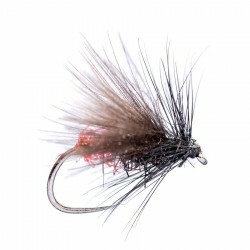 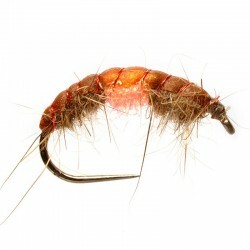 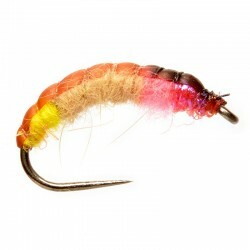 These are probably the best quality woven nymphs you will ever see. 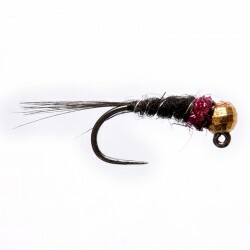 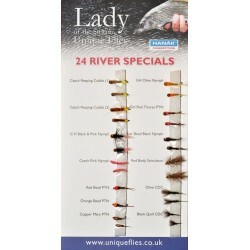 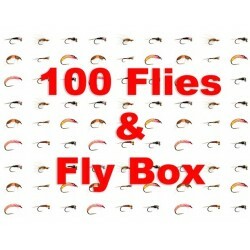 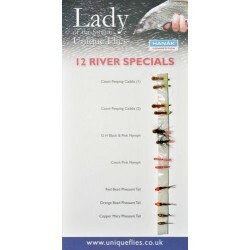 Fantastic for Autumn and Winter Grayling.